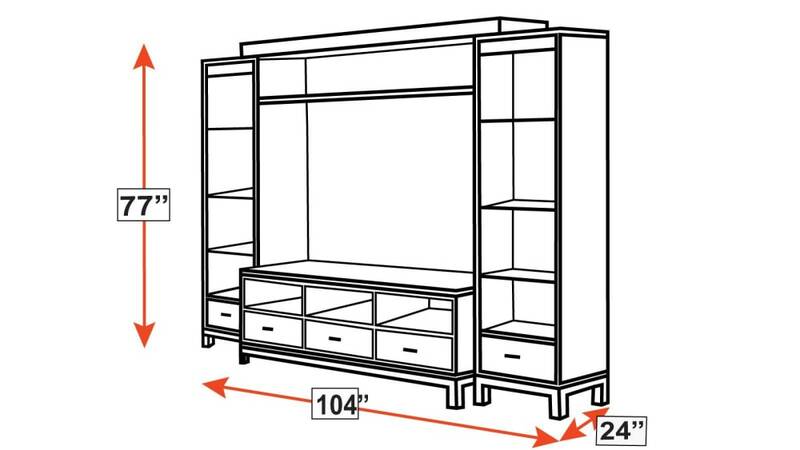 Big enough for a huge widescreen television, this entertainment wall will provide ample room for your multi-media devices, including your entire Blu-ray library. 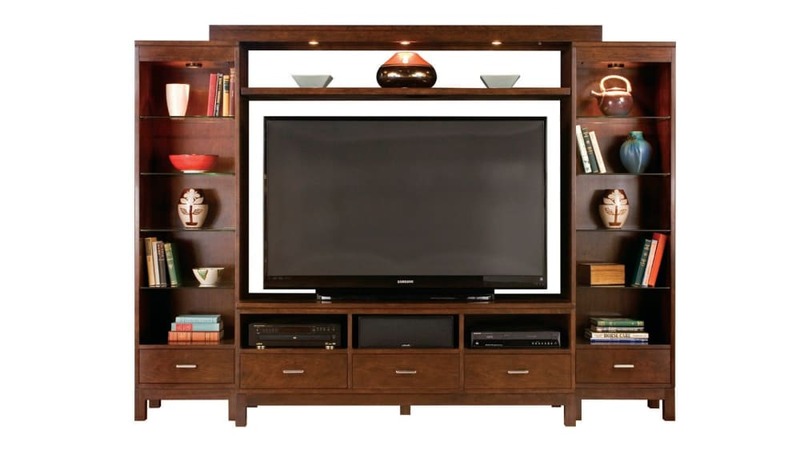 Fully on-trend, and constructed from solid, American-sourced, black cherry wood, this is a stylish method of keeping your entertainment area organized. 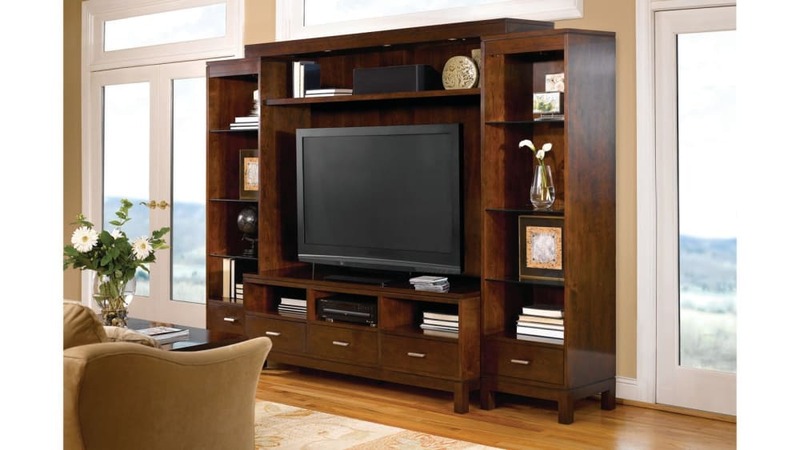 With Gallery Furniture's same-day delivery service, you can start upgrading your home TODAY!